Zouk is safe. At least for now. The answer that Zouk, Singapore’s pre-eminent dance club, its thousands of loyal, regular clubbers, 200 anxious staff, irate residents of neighbouring condominiums and green-eyed competitors craved for is finally out: The 23-year-old club has been offered a conditional three-year extension on its tenancy at Jiak Kim Street. The extension granted by the authorities reflects the recognition that the club is an important tourism brand as it is an entertainment venue. 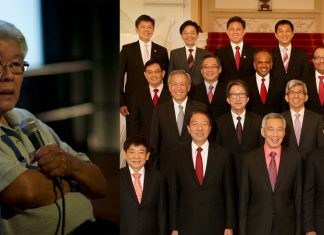 A joint statement released by the Singapore Land Authority, the Singapore Tourism Board and the Urban Redevelopment Authority acknowledged “Zouk’s contribution to the strengthening of Singapore’s reputation in the international entertainment scene”, which was the reason the three government agencies granted Zouk the extension it required, albeit with conditions. More than that, the fact that the agencies even considered granting Zouk the extension could perhaps attest to the club’s position as the crown jewel of the nightlife scene in Singapore. Zouk, which was placed seventh last year in respected international publication DJ Mag’s Top 100 Clubs poll, brings the world’s foremost DJs to our shores. And Zouk is beyond that. It is a super club, a brand that is known to set trends and a club venue that’s host to the inspired and creative. The club has brought glamour and prestige to an industry which is considered fairly small and which sometimes carries negative connotations because of its association with alcohol and with it, its somewhat unsavoury effects. When it made its advent 23 years ago, Zouk was occupying a disused warehouse in an area devoid of activity. The area surrounding Zouk has since become a residential precinct, a development that has rendered its presence at its current site, in the words of the authorities, “incompatible with the residential nature of the area”. It has had repeated extensions on its lease since June 2012, and the authorities have made it clear that this one will be its last. So here’s the new deal: Zouk will have to secure a new venue by June next year – that’s 10 months from now. If they can do that, the lease will go on till Dec 31, 2017. If Zouk is unable, or chooses not to secure a venue by June 30, 2015, the lease on its Jiak Kim Street premise will expire on Dec 31 next year. Which for all intents and purposes, was what founder and boss Lincoln Cheng had been asking for since June. His decision in June to launch a petition to save Zouk may be perceived as a study in brinksmanship. His purpose, however, was far simpler and way less sinister: Cheng, who calls Zouk “my baby”, was driven by his desire to seek recourse for the future of Zouk’s 200 employees and, of course, to keep the party going. Cheng, who once described himself as a “Forrest Gump of music”, was just lucky to be at the right place at the right time. The 67-year-old was at Woodstock in 1969, an event which no doubt opened his mind to the possibilities of music. In 1987, he was in Ibiza during what was the arrival of House music in Europe. He took that distinctive sound to Asia with the launch of Zouk in 1991. Since then, Zouk has been in the forefront of dance music in Singapore. Now the club, which opened its doors for the first time six months before London’s Ministry of Sound, sees more than half a million visitors each year. 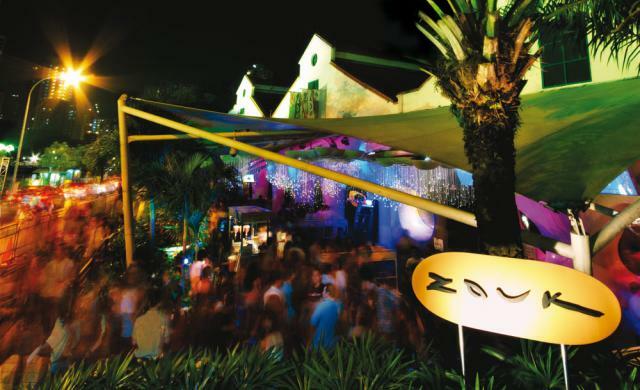 ZoukOut, an annual year-end music and dance festival organised by the club at an outdoor venue, sees more than 40,000 visitors over two nights, many of whom are tourists who fly in specifically for the event. For Cheng, becoming a club owner was secondary to bringing in new musical experiences, a spirit that has prevailed throughout the club’s 23-year history. Cheng, an architect by training, has proven over the years to be a purveyor of culture and quality. The original works of Andy Warhol, Keith Haring, Takashi Murakami and others from his personal collection are proudly displayed at Velvet Dance and Lounge, two of Zouk’s halls. Clubs come and go in the dynamic and varied nightlife scene in Singapore, and whereas many club operators would scheme at making profits, Cheng’s building of the Zouk brand has stood the test of time. The long queues of beautiful clubbers, quite possibly the best-looking nightlife crowd in Singapore, have adorned the club’s exterior for generations, a testament to the club’s consistency and popularity over the years. But there is still work to do. Zouk will have to leave Jiak Kim Street eventually. Can Zouk’s success be translated to a new venue? There is no doubt in this writer’s mind that with the philosophy of the man and the crew behind him, Cheng would be able to replicate the Zouk experience at any venue. As it stands, Cheng favours a move to the Singapore Flyer, which will benefit from the footfall should Zouk take its place there. The Singapore Flyer went into receivership in May last year and Cheng has to wait for the announcement of a successful bid from investors before he can start negotiations with its new owners. It is understood that he is considering other options in the meantime. Cheng has 10 good months to find a suitable place to relocate Zouk. With the confidence of having at least a two-and-a-half year lease thereafter, he will almost certainly pursue that end with relentless vigour. The Zouk experience, a rite of passage for many a young Singaporean and a must-see venue for every visitor, looks set to make it to the quarter-century mark – and beyond. * The writer, a former print journalist, is an author with Typewriter Books.